The first State Dinner at the White House was hosted in 1874 by President Grant, who hosted King Kalakaua of Hawaii and served 29 courses to about 40 people. While the dinners are smaller now, they are just as elegant. 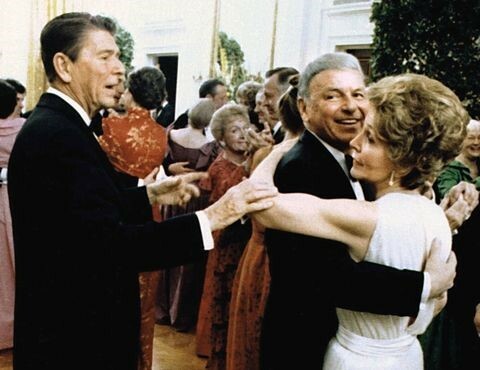 White House State Dinners are known for being over the top affairs. The kitchen staff pulls out all the stops for the menu, and often tries to honor the cuisine of the country whose head of state is being hosted. First Ladies typically are very involved in the planning process, and each adds her own personal twist to the parties to differentiate from the previous administration. The Kennedys came to the White House with a youthful energy unfamiliar to the office of the President. As such, they took a more relaxed approach than Truman and Eisenhower, who tended to throw very serious, white tie dinners for about 50 people. 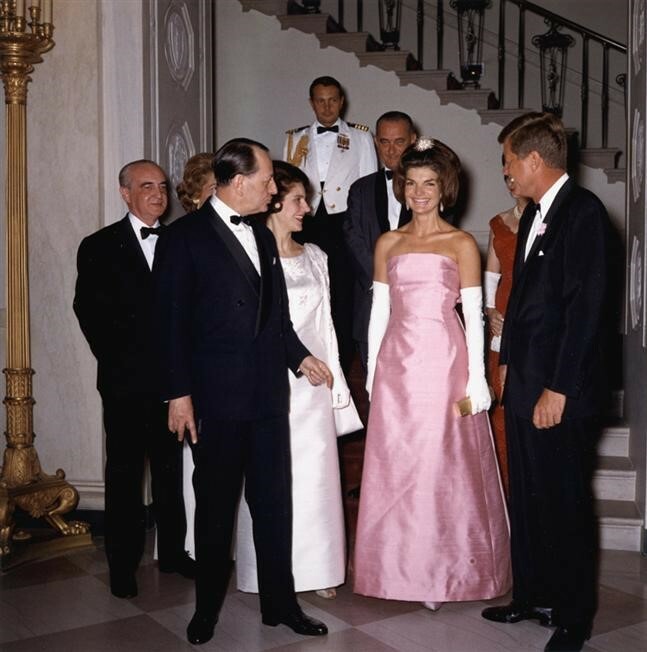 As soon as they got to the White House, Jackie hired well-known French designers to update a number of rooms in the White House, and together they decided that they would throw black tie, rather than white tie affairs. Additionally, they changed up the guest lists, and began to invite important cultural figures and artists as well as heads of state and diplomats. The Fords made a point of inviting a wide range of guests, hosting everyone from country singers to ballerinas to diplomats and popular newspaper columnists. Mrs. Ford also came up with the idea to put just a few tables in the Red Room for certain parties, and often had Henry Kissinger and Nelson Rockefeller seated there, as they had the perfect personalities to fill a small space. The Carters toned down state dinners, getting rid of hard liquor and dancing, claiming that they made affairs less elegant. They always used round tables, and often invited family members to the dinners. At one point their nine-year-old daughter, Amy, was seated at the main table with her parents, and people unexpectedly responded rather negatively. Rosalynn Carter also made a point to make the White House seem less elite, and as such made a point to invite a few people to each State Dinner who had written letters to the president asking to be invited. The Clinton State Dinners were known for being large – nearly every one of them was held in a tent behind the White House. And, over their time in office, they only grew larger. The guest lists were always heavily swayed toward the arts and pop culture figures, as well as Democratic party donors. 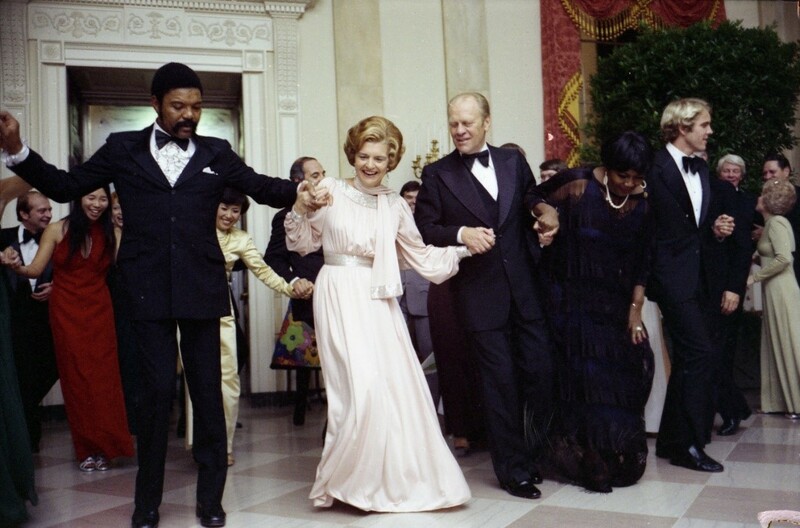 The Clinton State Dinners were known for being fun, with lots of music and dancing. 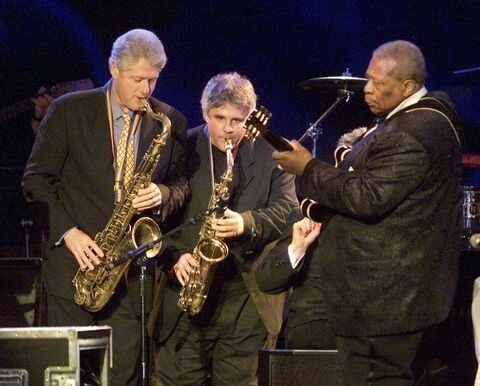 The President often joined the band at their parties, playing saxophone for the crowd.